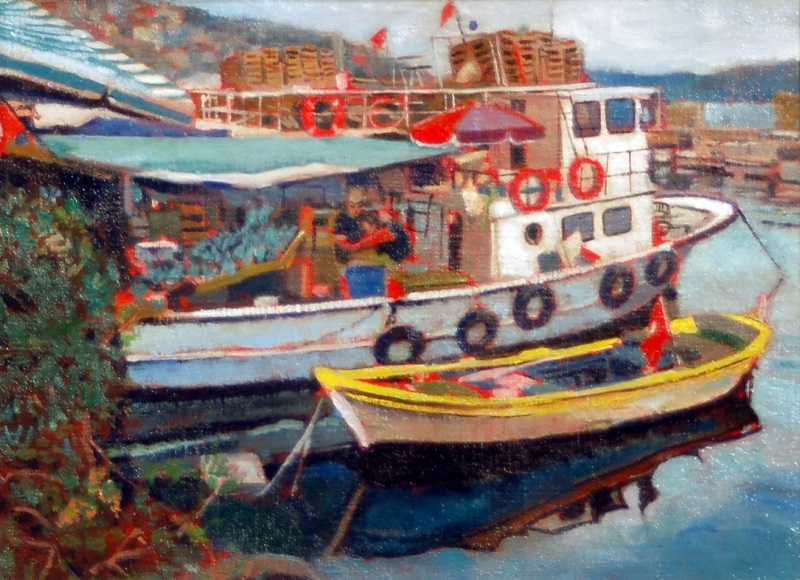 Seeing the marvelous color of these fishing boats, I was inspired to a quick study. So much transpires on the Bosphorus that it feels one is in the middle of a Richard Scarry illustration for a children’s book. The sea against the mountains of the city, passing ocean liners, fishing boats, helicopters overhead... A finite painting captures but a slice of complex life. One wishes the canvas could expand on and on.